OK. So, with the acrylic base, it WILL be watertight! I think your only concern will be the glue that you use. It should be UV resistant and last a long time. I have used the black E-6000 for many years with no problems. Using corrugated aluminum, there shouldn't be anything to chip...although if you want a rust effect you can either use sheet steel or paint the aluminum. I used Sophisticated Finishes Iron with a rust overcoat on plastic and it has held up very well. After it is painted, you really can't tell that it's plastic. Should work just fine on aluminum as well, although I think there might be some other treatment available? We are thinking about a corrugated metal roofing but this will likely be small pieces overlapped so not water tight. The intent is to glue these to a base which will not chip. 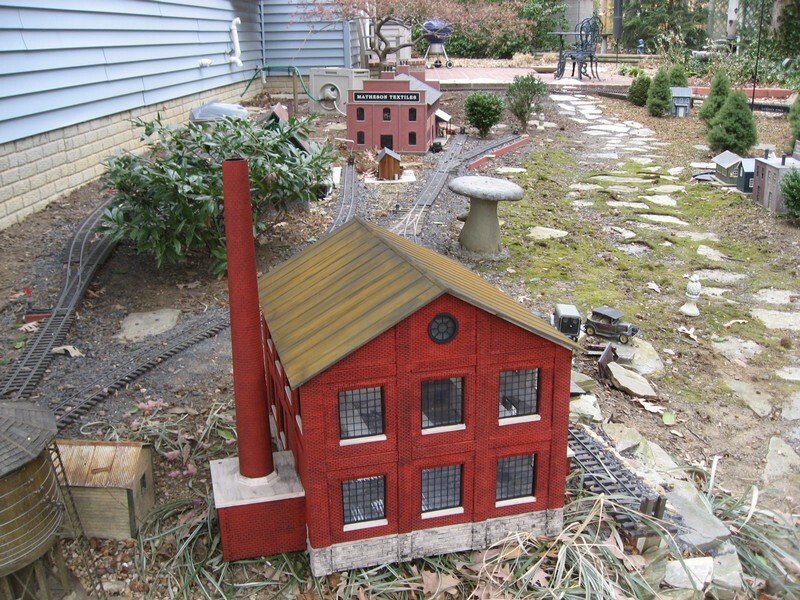 This engine house is part of our modules but for the most part will be used to keep a locomotive dry out on the layout. Since it will be moved around a lot chipping of the rook edges is one of our major concerns. We will have it with us in York on our module, Hope to put the base on shortly after York so discussing it there would be most helpful. Are you sheeting over the roof base and if so with what material ? Also what desired "effect" are you looking for on the roof? Standing seam would be a snap with PVC board as Jon suggested. I personally am a huge fan of the PVC board myself. We can talk at York if you are coming ....will be there Friday and Saturday. Jon Radder said: Rooster had issues with acrylic warping when used for buildings due to heat build up inside the structure. I've not seen similar issues in sign service. BUT, that's not really the question. I'm not sure what you mean by the comment "aluminum pieces glued to it to have the desired effect." 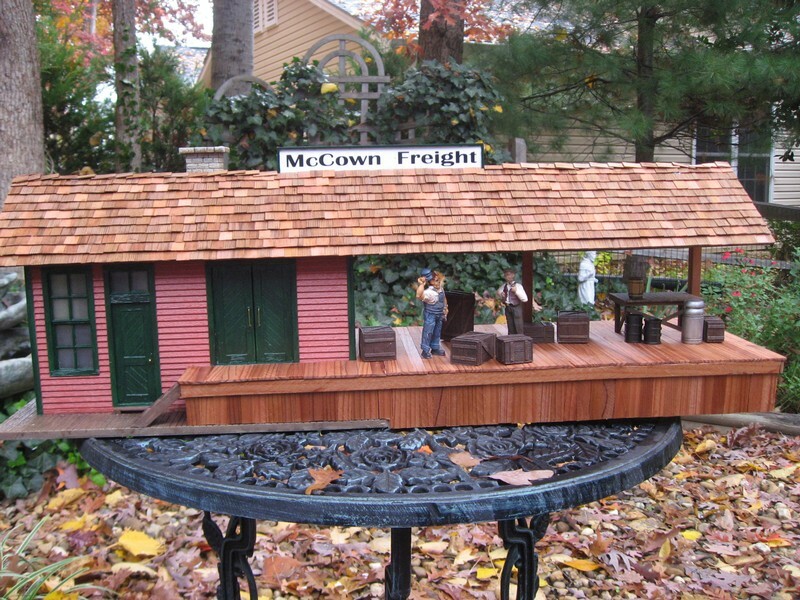 So, with THAT in mind, when I extended my freight house, I ended up using acrylic for the base of the roof, BUT, ended up using cedar shingles for MY desired effect. I use both of those materials in the sign business. For my uses there are pros and cons to both. 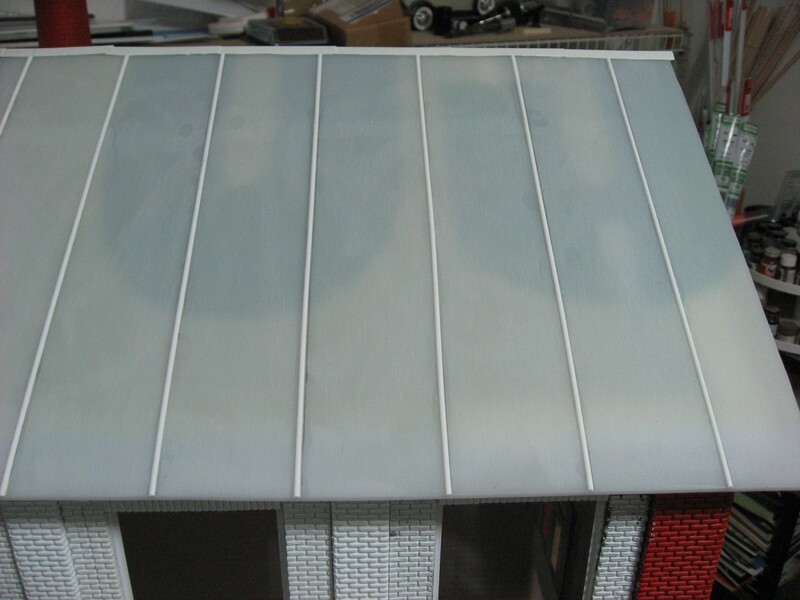 Polycarbonate is much more resilient; resists cracking and breakage. Whites will yellow fairly quickly with sun exposure. Acrylic is more fragile, will shatter if struck. Whites /colors stay strong a very long time. 1/16" material of either type will need lots of support. Rooster had issues with acrylic warping when used for buildings due to heat build up inside the structure. I've not seen similar issues in sign service. If you can go thicker I'd probably used foamed PVC board. The 3mm sheet is close to .125" but is very floppy. 6mm (approx .25") is quite a bit more rigid. Depending on how big your roof will be I might be able to snag you a piece from an old sign and bring it to York if you are going. That goes for acrylic too, but I don't have much thinner that 3/16"
Just in the early stages in building outdoor structures. Been working on a single stall engine house built in redwood and now need to find a material for the roof. I was thinking of either using a Polycarbonate or Acrylic sheet as the base and then using aluminum pieces glued to it to have the desired effect. Was thinking about 1/16 inch thick material. What suggestions do folks have on suitable rooking material that will stand up and not easily chip? Two blue end caps for bearings made by Amsted Rail’s Brenco Inc. appear on a freight car truck at the Union Pacific's Butler Yard in Wisconsin. Q What is the significance of the blue paint that I see on the rotating bearing caps on freight car wheelsets? – Tito Porfiri, Olney, Md. Eric, I'm hoping with some use, the treads will polish up nicely like the real ones. My focus era is roughly 1990-2010, though build dates can go much earlier. Reflective stripes - yes. Graffiti - no. CN "www" logo - no. I think the blue caps are just a companies marketing move to make them stand out. Watch out for Rooster. I think he still makes you write lines on the blackboard. Blue, red, what is the difference? Rooster assigns homework for Maynard .....on his desk Monday morning for grading .....you have all weekend ! No clue Dave. Just see blue used now. Not sure if Red was used more in the 70's era or not. Like your idea of the appearance of a bad wheel/axle being swapped out. I tend to model more modern era so the only difference would be painted the bearing cap blue. Great looking building, Dennis. You’re paint job on the brick is amazing. How is the surface texture on the brick created? It looks very authentic. I use the basic acrylic HOBBY paint for all the coloring of the brick. The green is again spray can paint, also brushed after spraying. Thanks Jim, This is a very user friendly product that is capable to stay outside. Front side all painted with spray can, and brushed. Dennis: Thanks for showing your approach to painting these buildings. Any detail you can provide will be helpful to me, and maybe others. Looking good so far. I like the 3D brick trim around the doors and windows. Nice!